The odds might have been stacked against Screaming Eagle’s sister winery Jonata in the beginning, but that hasn’t stopped it from becoming one of California’s top producers. In his own words, Jonata winemaker Matt Dees is “obsessed with dirt.” As a young boy growing up in Kansas, he was more interested in closely examining plants and insects than playing sports, so as soon as he could, he left the flat plains of Kansas to study soil science at the University of Vermont. 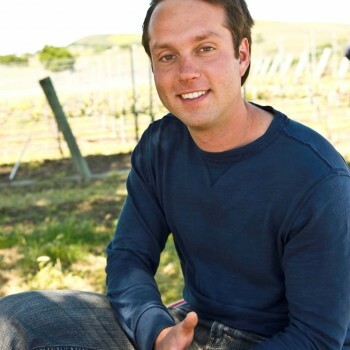 Luck was on Dees’ side as Staglin’s Andy Erikson who had just started to consult at the newly established Jonata in the Santa Ynez Valley in Santa Barbara recommended to Jonata’s owners to hire Matt as their full time winemaker which he became in 2004. The Jonata name quickly reached the ears of wine critics – and the rest of the world – when Robert Parker rating many of the 2007 vintages 95-97 and 98-100 points. Not surprisingly, Jonata now commands some of the highest prices in California from the Sauvignon Blanc blend, La Flor retailing at $70 to $200 for the Syrah, La Sangre. Dees recognises Jonata is in a good position but knows he and his team deserve it.